Crackers, cereal, fresh melon – no food, it seems, is safe from Salmonella, a foodborne pathogen that is making people sick and forcing companies to recall millions of dollars worth of products. A day earlier, Mondelēz Global said it was recalling Ritz Cracker Sandwiches and Ritz Bits sold in the U.S., including Puerto Rico and the U.S. Virgin Islands. Again, whey powder is the suspected contaminant. You can find the affected Ritz Cracker lot numbers here. Affected Goldfish lot numbers can be found here. 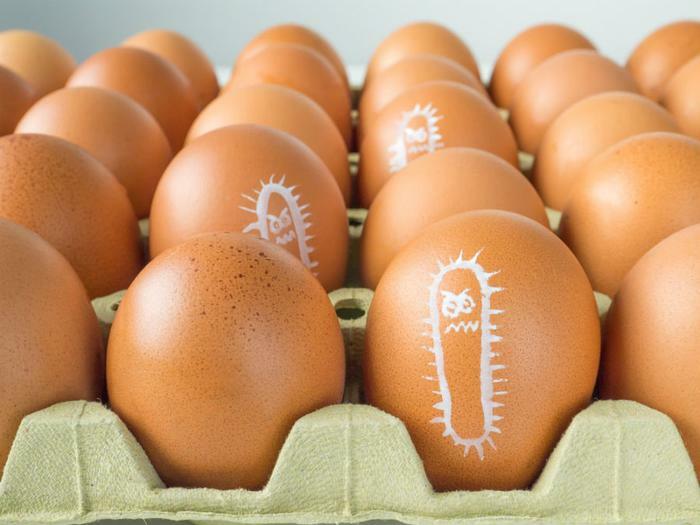 Salmonella is showing up in the U.S. food supply more and more, in part because of how centralized the food chain has become. Multiple food conglomerates increasingly obtain ingredients from the same source. When that source has a problem, it quickly spreads. Salmonella has even found its way into pills. A Salmonella outbreak in February was linked to kratom. Some of the people who got sick took dietary supplements containing the tainted ingredient. Others were exposed to the product in powder and herbal form. Earlier this month, Dr. Scott Gottlieb, Food and Drug Administration (FDA) Commissioner, reported that as of the end of May, a total of 199 cases of Salmonella in 41 states had been linked to kratom consumption; 38 percent of those illnesses led to hospitalizations, he said. While it might seem surprising that Salmonella shows up in processed foods like Kellogg's Honey Smacks, recalled last month, scientists say the bacteria is especially hardy and can thrive in a dry food. But it's also a persistent threat in fresh food. Just last week, the Centers for Disease Control and Prevention (CDC) said it was investigating a multistate Salmonella outbreak linked to live poultry raised in residential backyards. Between June 8 and July 20, 88 additional people had become sick, bringing the CDC's total to 212 in 44 states. To limit exposure to the bacteria, always wash your hands thoroughly after handling animals and animal food. If you or someone in your family gets sick after consuming fresh or processed food, report it immediately to your local health department.